This is our first Father’s Day where Baby Fox is old enough to make something for Daddy. He’s still at that tricky stage between baby and toddler though so I knew I would have to be creative with our craft. 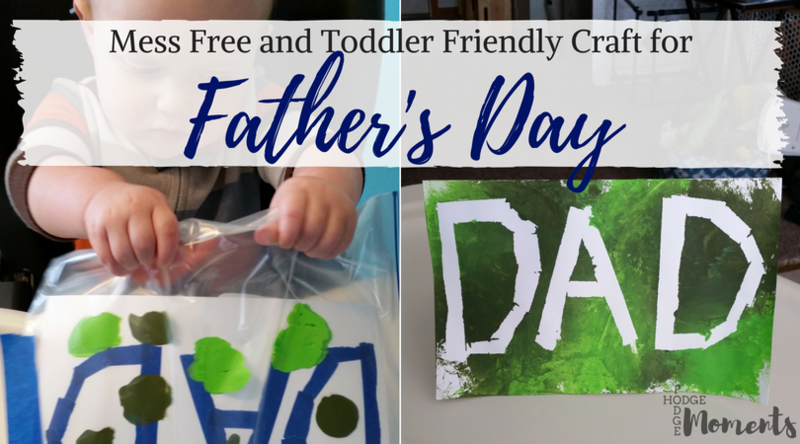 I was excited when I came across an idea that I could easily adapt to be a mess free toddler craft for Father’s Day. The materials for this craft are quite simple. You simply need a gallon sized bag, cardstock, painter’s tape, and paint. 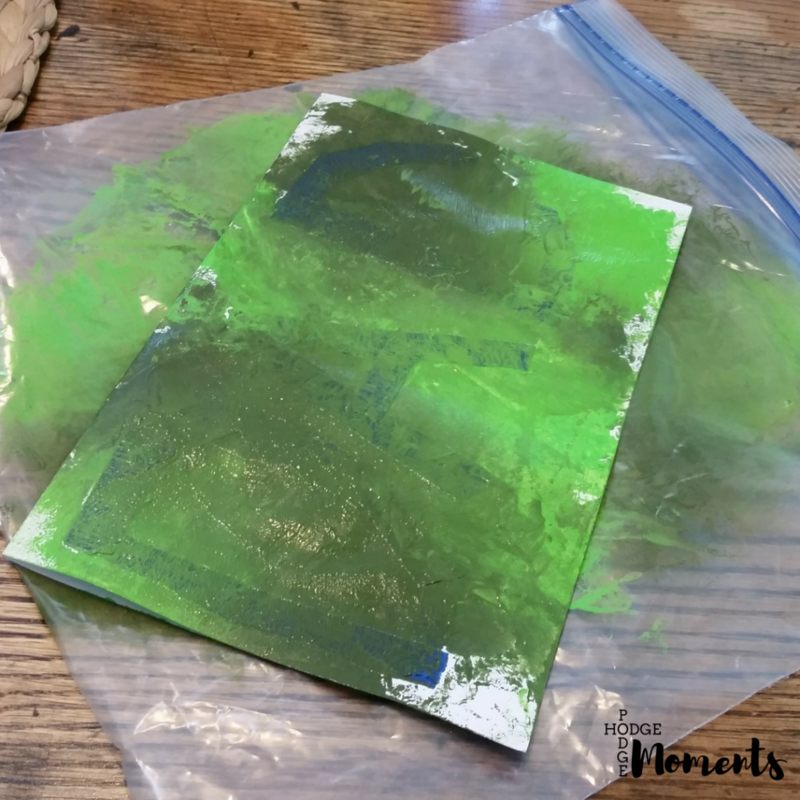 The painting is all done inside of the bag so there is little to no mess and clean up is a breeze! The first step is to prepare your card. 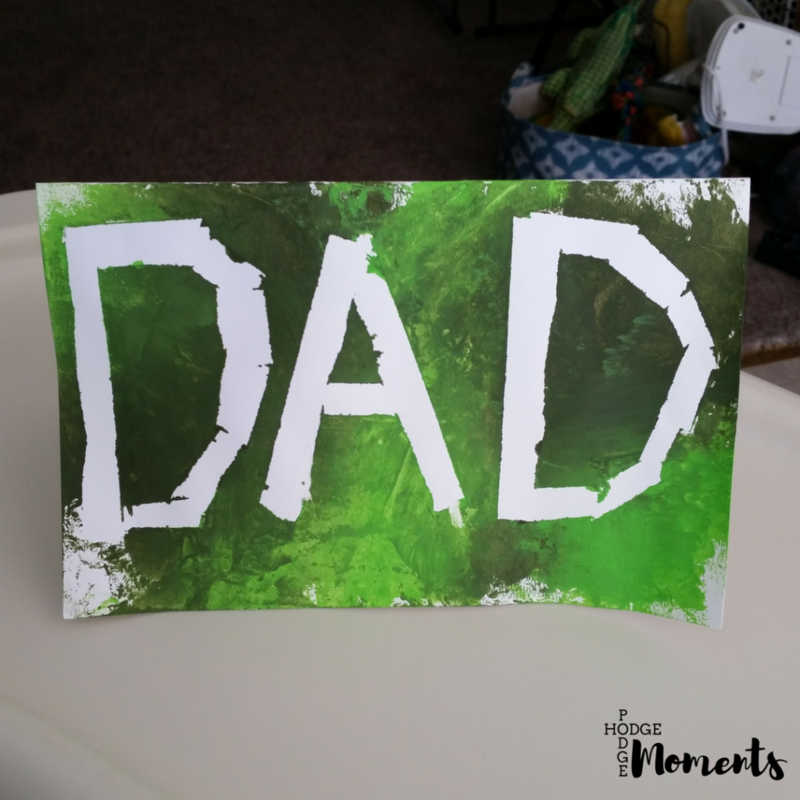 I used painter’s tape to write out the word DAD. To make the curves easier, I used small pieces and carefully put them on there. This was probably the hardest part of the entire craft. The next step was to add paint to the card. I chose two shades of green because Daddy’s favorite color is green. You could do any colors really. I would stick to two or three though to avoid a brown mess. A few drops here and there will do the trick. Next, slide the card inside of the bag and seal it tight. You don’t want any of the paint coming out after all. That would just create a mess! I gave the bag to my son and he sort of shook it around and eventually smeared the paint with his fingers. 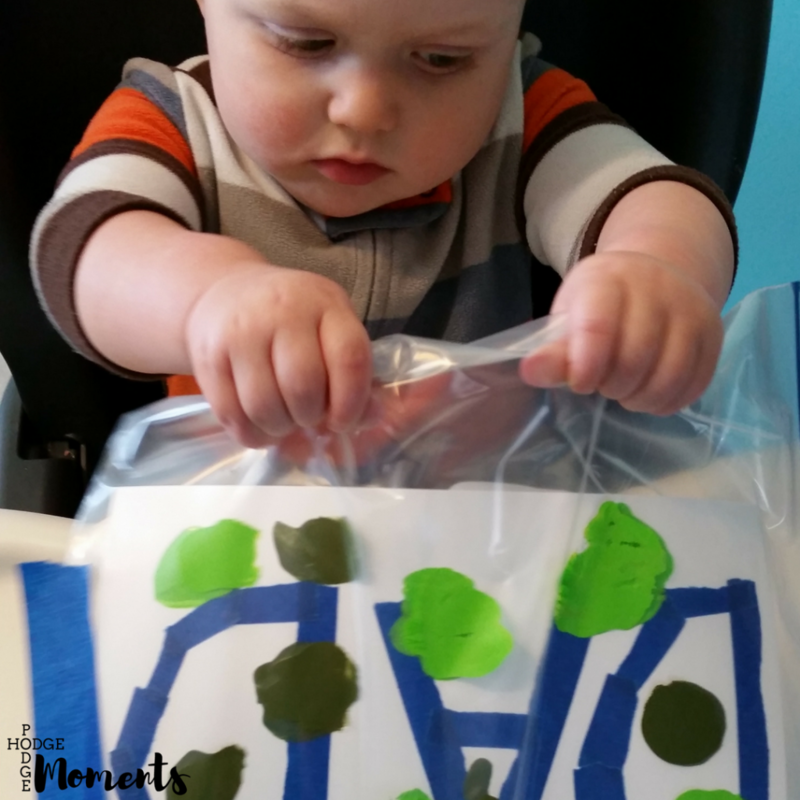 When we paint in a bag next, I’ll be taping the bag to his high chair so that it doesn’t move as much. 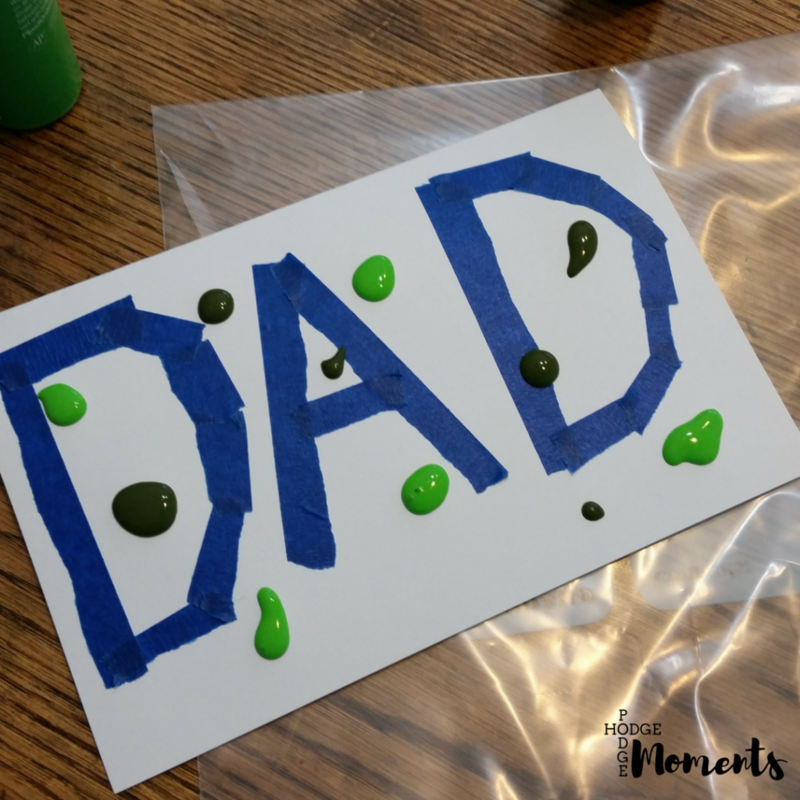 I helped my little one with the painting part of this craft since it was his first time doing it. Like I mentioned above, I’ll be taping the project down next time. Your card is going to look like quite a mess when you get done. Don’t worry – we’ll change that later! This next step is important! Make sure you take the card out of the bag when you are finished. This is not the time to say “I’ll get that later.” The card needs to dry outside of the bag. The last step is to peel the painter’s tape off of the card once it’s dry. Make sure you let it dry all the way before you do this step. It’ll make it a lot easier and you won’t risk pulling up unnecessary paint. Your project is ready for Daddy now! 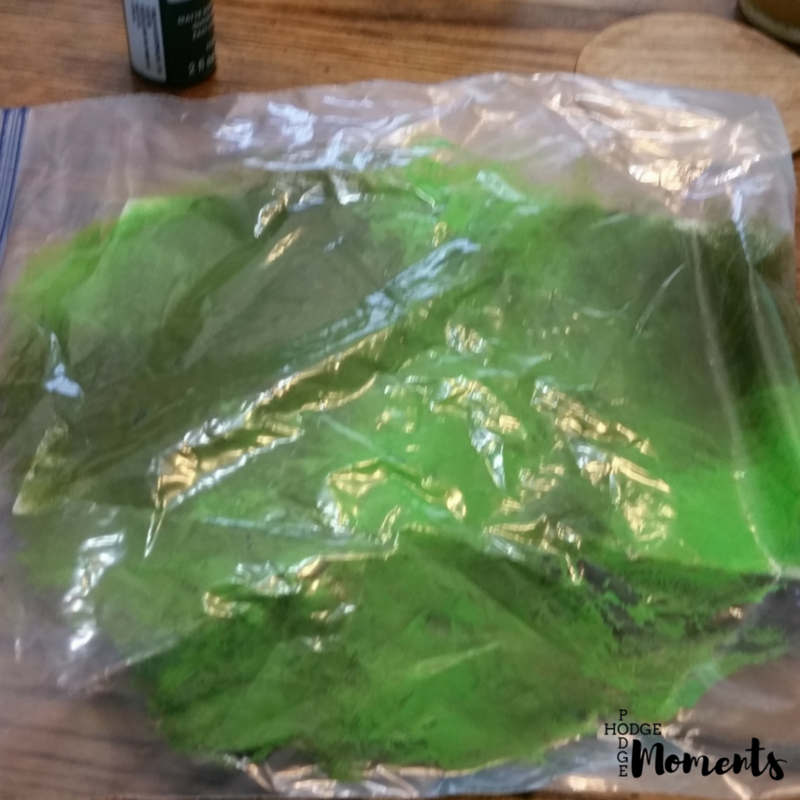 Halfway through the craft, I did tape down the bag. 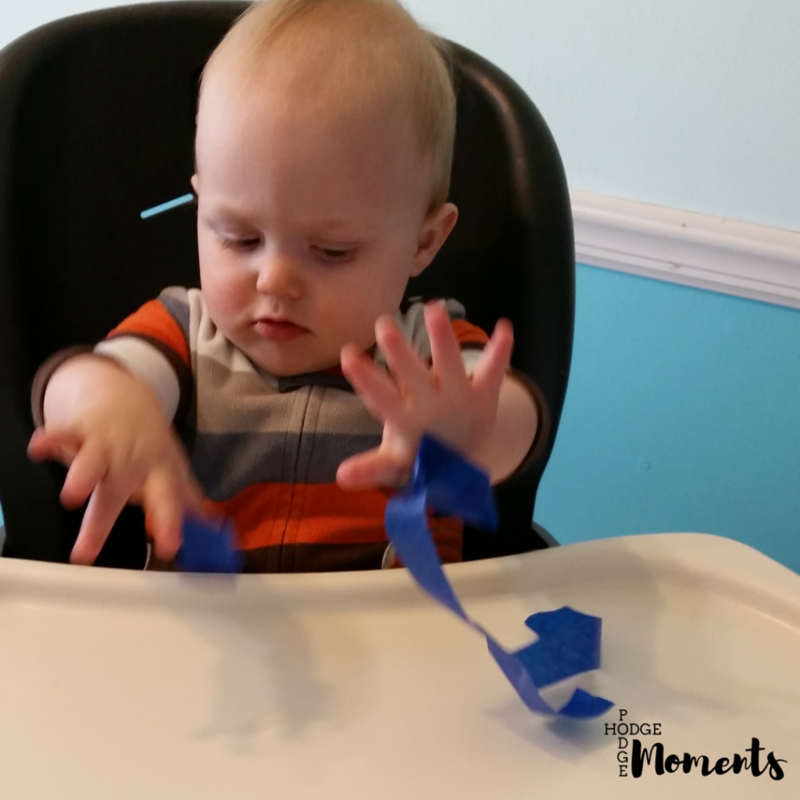 Baby Fox had fun playing with the tape while I set his masterpiece on the table to dry. Sometimes the smallest things are the most entertaining to our little ones. What are your plans for Father’s Day? I’d love to hear about them in the comments below! I don’t have any toddlers anymore they have all grown now. I do have a 6 year old with sensory issues and autism. He hates to have his hands dirty! He wants to paint and do the things the siblings are doing yet doesn’t enjoy the messy chaos feeling. 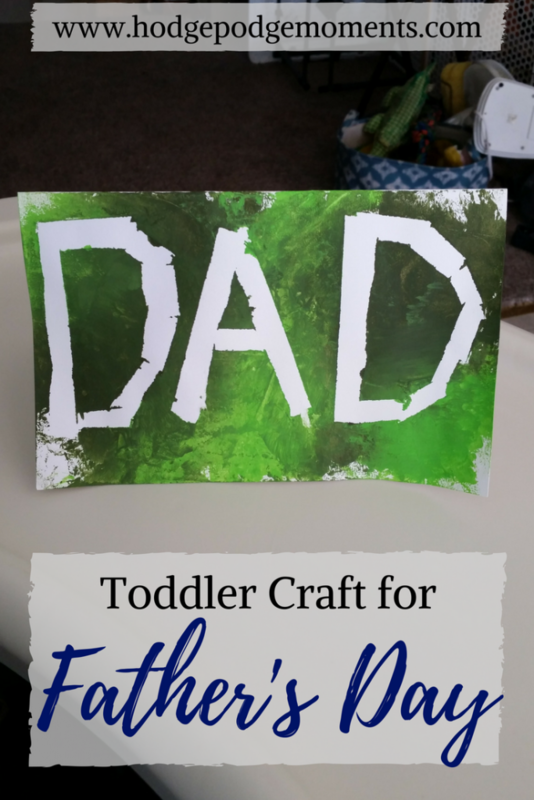 I wonder if this would be a way for him to paint dad a card and not feel so overwhelmed! Thanks for sharing I am going to give it a try! Aww so cute!! I always struggle on activities to do with the little ones.